Steve Hytner has made an indelible impression on both the large and small screens. Combined with headlining comedy clubs nationally, and his many corporate shows, Steve is one of america’s best stand ups and most recognized character actors. 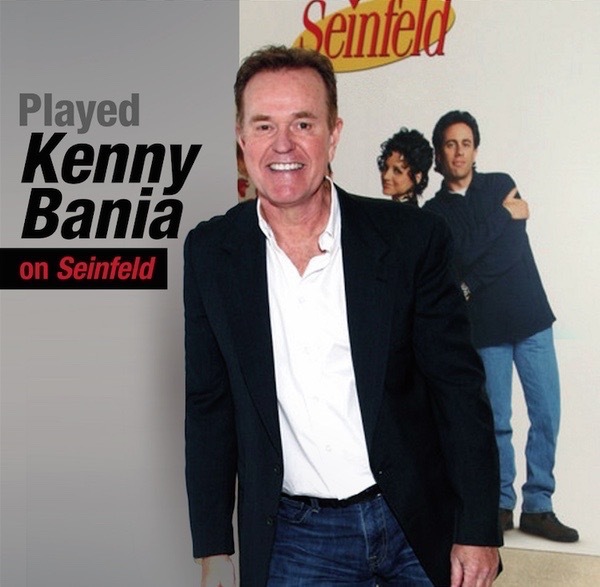 Steve received critical acclaim for his portrayal of Kenny Bania on the long running hit “Seinfeld”. His other works include “Modern Family”, “Hung”, “Mike and Molly”, “Two and a Half Men”, “Curb your Enthusiasm”, “CSI”, “CSI New York”, “Boston Legal”, “Friends”, “Roswell”, “King of Queens” and many, many more. He started his feature career in the film “Ski Patrol” and went on to co-star in such films as “In the Line of Fire” with Clint Eastwood, “Forces of Nature” with Ben Affleck and Sandra Bullock, “The Marrying Man” with Alec Baldwin, “Eurotrip”, “Love Stinks”, “Charlie’s Angels: Full Throttle”, “The Haunted Mansion”, “The Prophecy” trilogy of films, to name a few.